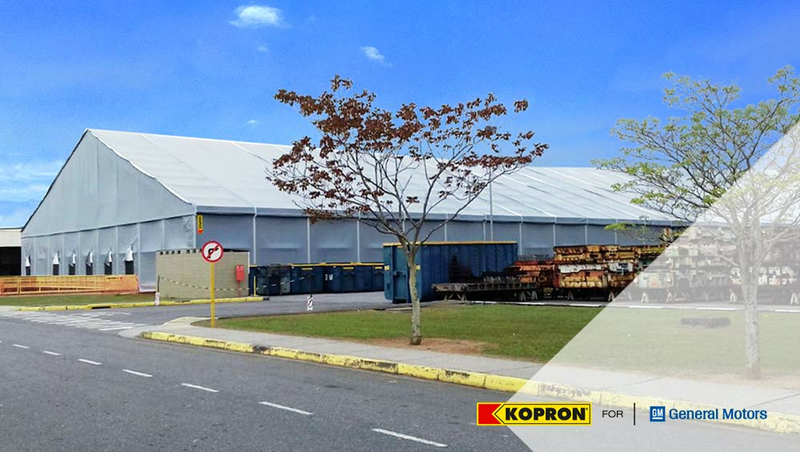 General Motors corporation in São Paulo, relied on Kopron’s expertise and capability to create more production space with their temporary warehouses, in steel and PVC fabric. The flexible carrying structure and quick installation are the strong points of the product. In only 90 days Kopron were able to produce and install temporary warehouses covering an area of 7,225 m². From October General Motors can allocate strategic assets for future activities of the entreprise: Kopron temporary warehouses, modular, removable and 100% ecological. General Motors Corporation, simply known with the acronym GM, is an American multinational corporation, headquartered in Detroit. Core business of the company is the manufacturing and distribution of vehicles of all sizes. They produce under several brands, the most well-known are Chevrolet, Buick, GMC, Cadillac, Opel, Vauxhall, Holden, Baojun, Wuling, e Jiefang. They have spread in South America, and in January 2016 made a new achievement: General Motors Brasil have celebrated 91 years of activity and have produced over 15 million vehicles and increased revenues. This Brazilian giant asked Kopron to study out a solution to optimize the logistic flow and production process at one of their most important plants. 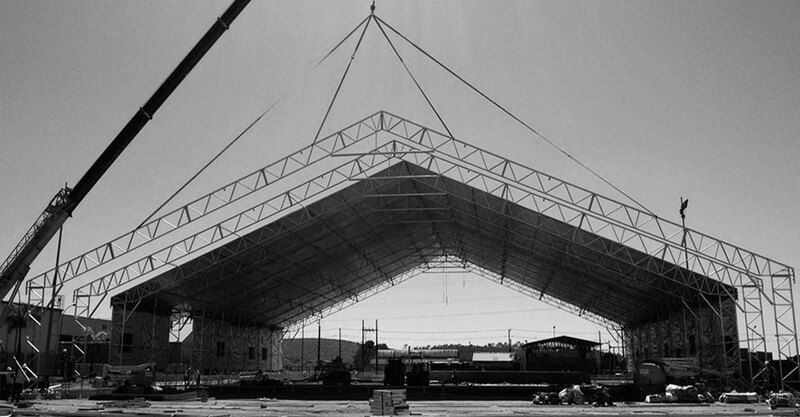 To cover an area of 7,225 m², 3 warehouses were produced with following sizes: 25*125*6m; 45*80*6m; 10*50*6m. Kopron offered an integrated plan and a turnkey product, which included foundations, power supply and light systems, lightning rods, safety doors, guardrails, safety columns, retaining walls and ventilation windows. Giacomo Niccolai, Kopron’s International General Manager was proud to say that “..even overseas our Company is being chosen by the most demanding Customers thanks to products and solutions of quality, quick installation, enviable modularity of the structures, and to innovative construction procedures which allow the warehouses to be easily removed”.